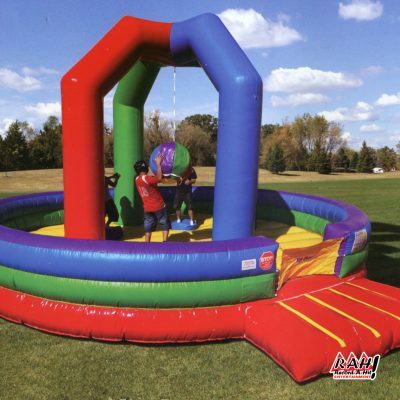 Rent our amazing and active 3-N-1 Bungee Challenge Inflatable Obstacle Race for your next event or party. It has three different game challenges for your guests. 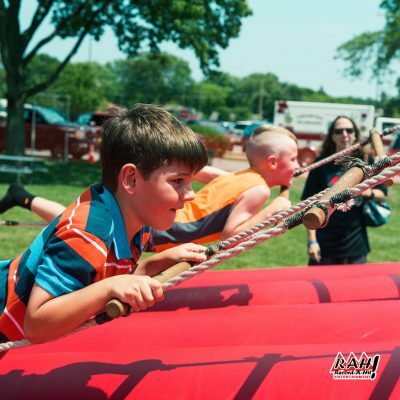 Baton Challenge – The challenge is to see which guest can run the furthest and fastest to stick the baton as far down the center wall velcro strip as possible. 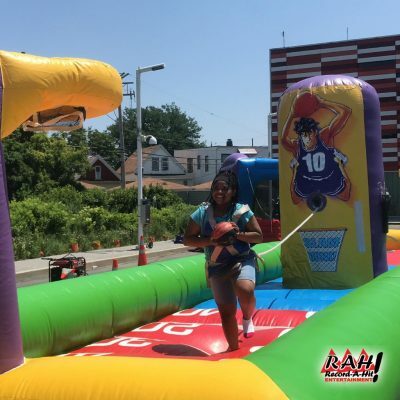 Basketball Dunk Challenge – The challenge is to see which guest can run down and dunk a small basketball through the basketball hoop the fastest. Human Bungee Darts Challenge – The challenge is to see which guest can run to the back wall with their velcro baton and stick it to a scoring circle first. The person with the highest score and fastest speed is the winner. Requires 1 amp dedicated circuits and a level, dry operating surface. Participants must be at least 4’ tall, Ages 8+up. Under 250 lbs. 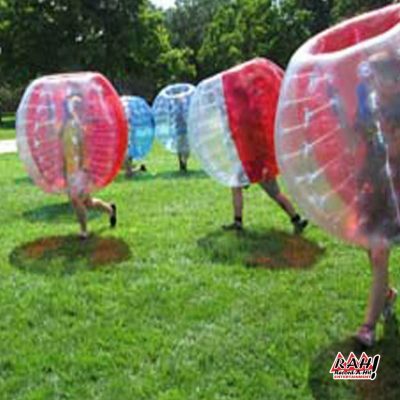 Participant and/or guardian must sign RAH liability waiver.